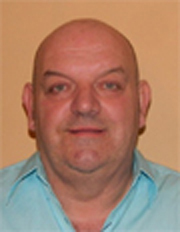 A local councillor has died following a road crash in Sligo this evening. Seamus (Seamie) O’Boyle is believed to have suffered a heart attack while driving. It is understood his vehicle veered off the road and crashed into a building at Temple Street. He was taken to the Sligo Regional Hospital where he was pronounced dead a short while later. The 57-year-old People Before Profit member of Sligo county council was elected to the authority in 2014. Mr. O’Boyle was a long-time resident of the Forthill area of the town, where he lived with his family. He was a prominent anti-water rates campaigner, and served as deputy chair of the Sligo Municipal District Council up to June this year.